Apple is working on a new type of screen for its future iPhone which will have no edge bezels at all thanks to a wraparound design. Apple iPhone XI: How can Apple improve on the iPhone X? Apple has filed a patent which reveals an iPhone featuring a new wrap-around display that runs right over the side of the handset making it even better than the iPhone X. The phone appears to use the touchscreen display even on the side where the volume rocker is shown in digital form. Apple has been filing patents like these since 2011 which shows it hasn't given up on the idea and could well be closer to making this a reality. Samsung is already there with the tech as it has just shown off its latest rollable and foldable OLED displays at its SID DisplayWeek event. The Apple patent also mentioned a new version of its Pencil which would be pressure sensitive, ideal for drawing. Plus there was a mention of a version of EarPods which can detect when they're removed, ideal for auto pause and for use as a single earbud in headset mode. While all this tech likely won't make an appearance until 2019 at the earliest, we're still due plenty this year. Apple should unveil the new iOS 12, tvOS, macOS and watchOS at WWDC 2018 soon where there may also be a new affordable MacBook revealed as a MacBook Air replacement. 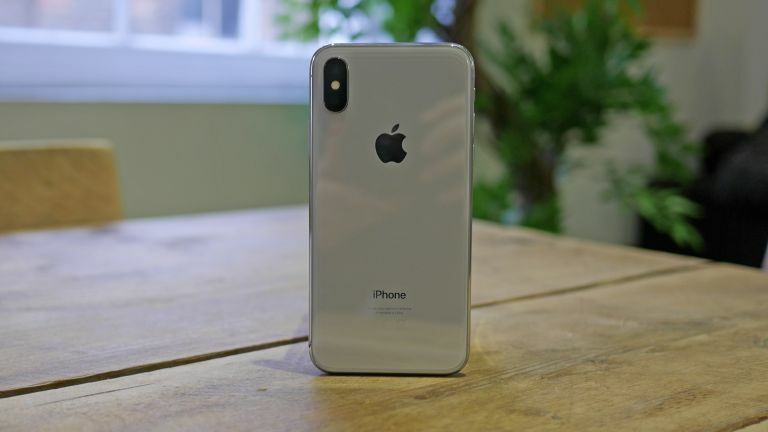 Later in the year we're due new iPhones which are rumoured to come as three with iPhone X displays in 5.8-inch, 6.1-inch and 6.5-inch sizes plus a smaller iPhone SE 2 with that iPhone X style notch screen crammed into a tiny form factor affordable handset.